The Beast Is Yet To Come! The Film Festival you can really get your teeth into is back! 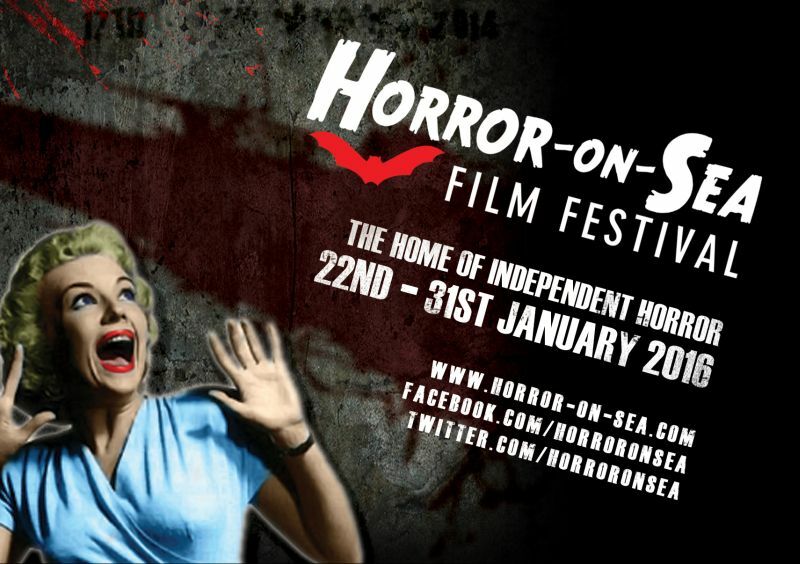 Werewolves, psychotic grandmothers and Lovecraftian monster mammaries; it could only be Horror-On-Sea 2016! The hit festival is back for its fourth successive year and promises gore geeks and fright freaks not just one but SIX nights to dis-member. Starting on Friday 22nd January 2016 at the Park Inn by Radisson Palace Hotel on Southend seafront, Horror-on-Sea will screen nearly sixty movies across two weekends. Since its inception by The White Bus in 2013, the annual fright fest has rapidly established itself as the home of quality independent horror and now attracts submissions from film-makers across the globe. Next year’s event features new work from Argentina, Canada, Brazil and Australia with the main bulk of movies still coming from America, Britain and Spain. A wide variety of genres and characters populate the packed programme, from vengeful models, zombies and werewolves to a killer clown, Sasquatch and even a cursed video cassette player. Members of the cast and crew from many films will join audience members to talk about their work, whilst award-winning writer and director Pat Higgins will host a masterclass, on the theme ‘Watch Horror. Write Horror. Make Horror!’ It promises to be a typically fast-paced romp through the genre; filled with advice on writing your first masterpiece, anecdotes from the front-lines of filmmaking and the chance to see footage and clips that nobody’s ever seen before. Higgins latest feature, The House on the Witchpit, will also receive its world premiere on Saturday 23rd January. Unlike the fate of many characters in the movies, tickets for Horror-on-Sea won’t cost moviegoers an arm and a leg. Prices start at just £5 per film, £20 for a Day Pass and for serious fans a Weekend Pass – that gets you into everything – offers unbeatable value deal at just £50. Tickets are available by calling 01702 618 747, over the counter at the Visitor Information Centre at Southend Pier (Western Esplanade, SS1 1EE) and on-line at www.visitsouthend.co.uk. From Friday 22nd January, tickets for all screenings and events will be available from the Festival Desk at the Park Inn Palace Hotel.